Doing regular maintenance has more benefits than merely paying for a costly servicing - it can identify potential problems that can save you a lot of money and even your life. 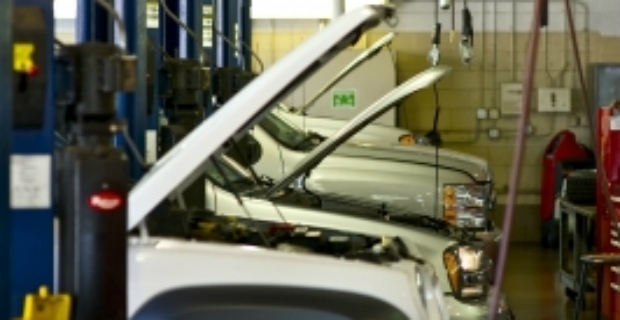 Check the top 10 repairs to make to your car and why you should do them. This is the fuel-air combination responsible for starting your car. Depending on the fuel type used, ignition systems differ. Check if all glow lamps are working on diesel-driven engines to save hard starting your car and avoid stalling. Verify if exhaust systems are running properly and if you can afford it, ask a mechanic for an upgrade or fine tuning of the system which could improve engine performance. Have the fuel system cleaned regularly or up to a certain mileage to make sure that clean fuel is delivered and that gases do not build up. Repair leaks in the fuel line. If you notice that the direction of the steering wheel is not in a straight line, have it checked out. A car's suspension aids in braking, and protects the vehicle from the stress of the weight it carries. Make sure that spring coils, shock absorbers, and linkages are not worn out. Keep a tab on brakes including changing brake pads and topping brake fluids. Check for peak power, fading, and drag. Watch out for squealing or high pitched noises when you apply the brakes. Check for corrosion, damaged case and connectors. Invest in a battery indicator to see if your batteries are charging correctly. Watch for signs of a clutch that’s going bad. A good clutch does not feel squishy and responds smoothly when you shift gears. Look for a burning smell akin to tyres burning indicating a worn-out clutch. Check the electric system of the car and watch out for those warning signs on the dashboard. Failure to act early could mean more trouble down the road. Everything could go haywire such as emergency lights not working, or turn signals not switching on. Ask a mechanic to repair short circuits in the electric system that trigger these. Catalytic converters are there to burn unused gases before they are released in the tailpipes or through the exhaust system. When clogged, the flow of gas is restricted.